This 14 year old industrial design studio is working across many different product categories. I became familiar with them through Hightower who represents some of their furniture designs in the US. The creative director and co-founder John Lofgren and designer Boaz Katz spent time sharing their design processes, works in progress and soon to be launched products. 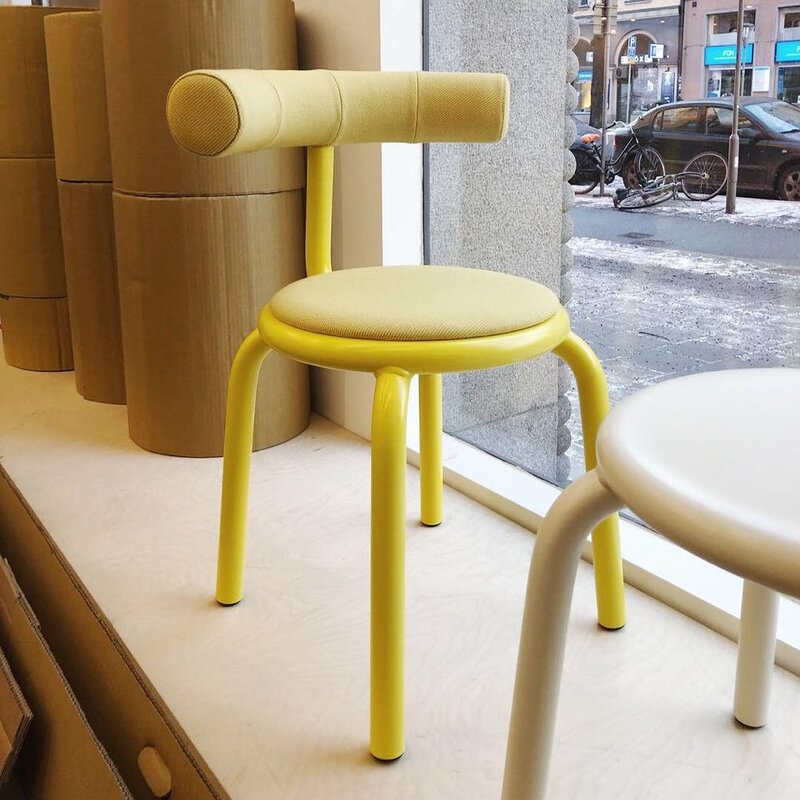 They have been working with IKEA on their kitchen designs as well as one of their most popular chairs the Odger. It only has three connections. The design of the Nest series of tables, benches and lounges pieces is how I got to know their work. We have used these pieces on numerous projects in the past year and I have been impressed with their sense of scale and presence while at the same time being visually soft and light. That is a difficult balance for strike for lounge pieces in public spaces. We discussed what designers in the US are needed in when we look at furniture and lighting for commerical spaces. We talked a lot about acoustics. They are working on two different products that are unitized acoustic panels one is of a dense recycled paper composite panel that has a great 3D texture that will help absorb sound. The other is a small brick sized tectum style panel that be magnetized or adhered to the wall that will absorb sound. These come in many colors and add a great visual texture to the wall. They are working on carpet designs for Shaw Flooring and some acoustic lighting that can be used in the US. The time in their studio was a great experience. 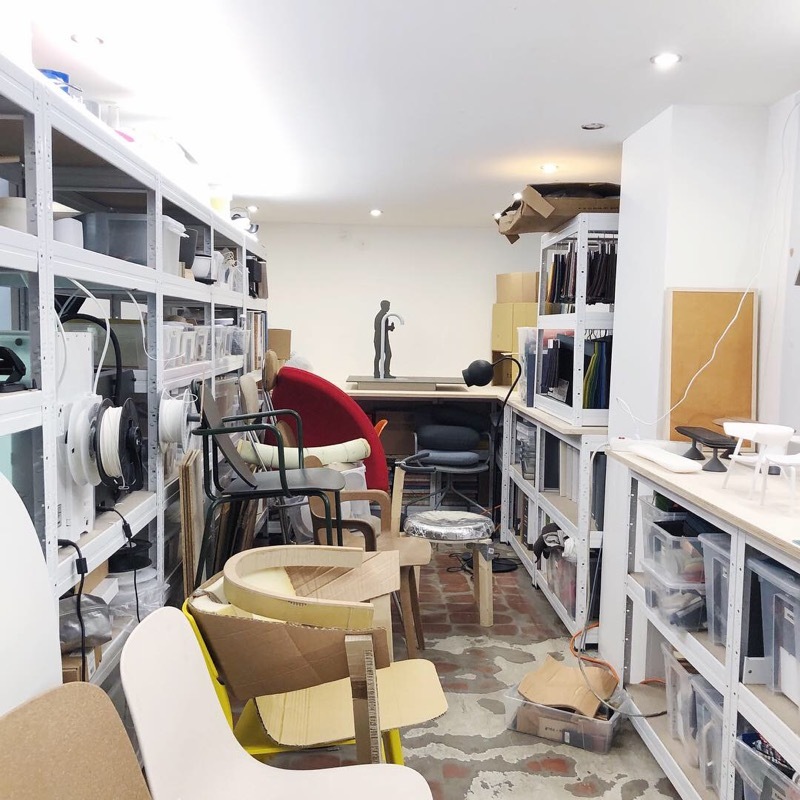 They have a mini fabrication lab where they work on prototyping products and have a space where the work though the design process and showcase prototypes.